Today, I have a question: Are you somewhere you’ve stopped growing? In this series, we’re talking about being in deeper communion with God. One way of doing this is by choosing our spirit over the desires of our flesh. Another way to do this is by remaining in an environment where you are stretching yourself and continually growing. I had this thought as I recalled the remarks I heard from Steve Pemberton, the author of A Chance in the World. If you haven’t heard Steve’s story, it is an amazing story of triumph. He had an incredibly difficult childhood. His mother was an alcoholic, and he was raised in an abusive foster home. After hearing this heartbreaking tale, someone in the audience asked Steve if there was anything about his life that he would change. Given his difficult childhood, it would be understandable if he wanted to change that. However, he instead talked about his adult years and said that his only regret in life was staying too long in a place where he had stopped learning and stopped growing. I thought his statement was extremely profound because we can sometimes become nestled into a place that we’ve already mastered, which means we’re no longer being challenged. However, when we’re in a place where we’re learning and being challenged, we’re inclined to lean on God for strength and direction, allowing us to go deeper in communion with Him. 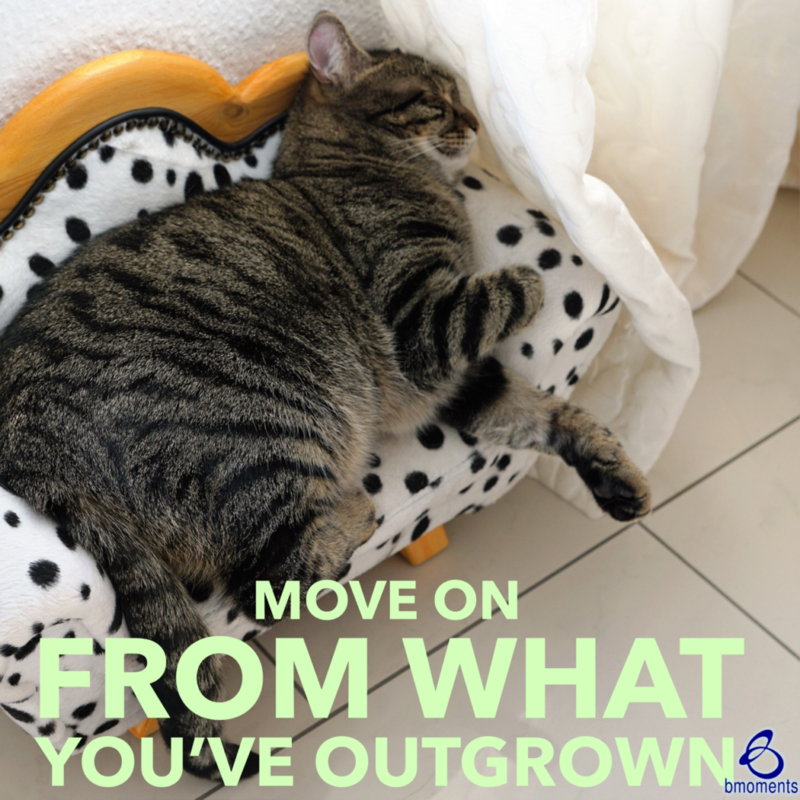 So today, move on from a place you’ve outgrown.